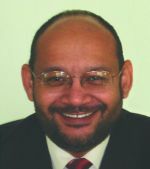 Daryl Michael Scott is Professor of History at Howard University and Vice President for Programs of the Association for the Study of African American Life and History. In 1998 his study, Contempt and Pity (North Carolina, 1997), won the Organization of American Historian’s James Rawley Prize for the best work in race relations history. He is editor of Carter G. Woodson’s Appeal: The Lost Manuscript Edition. His is currently working on a history of white nationalism in the American South.